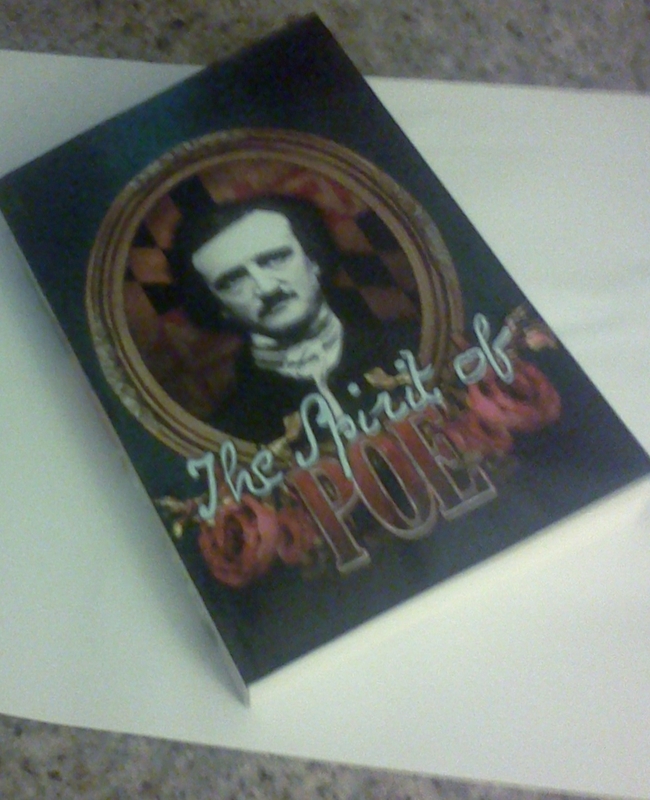 After many a false start THE SPIRIT OF POE (see January 10, et al.) is out at last, with an official release date Friday, July 27. But copies, including a special introduction by Dr. Barbara Cantalupo, are available now via CreateSpace and Amazon, with other outlets both offline and online expected over the next few weeks. Also it has a poem by me, “The White Worm: On the Death of Virginia Poe, by Consumption” (“And in myself I see a tomb of ghouls/ lie dormant, waking to the White Worm’s call. . . .”), originally published in ONCE UPON A MIDNIGHT (Unnameable Press, 1995) to mark the 150th anniversary of the publication of Edgar Allan Poe’s poem “The Raven.” And if that weren’t enough, it has been announced that profits from sales will be donated to help save the Poe House at 203 Amity Street in Baltimore which is endangered by a loss of city funds. If interested, check the bookseller’s name of choice above for ordering and other information. Then two short notes, the first being that bloody-disgusting.com’s review of TORN REALITIES is now featured in HELLNOTES. To read it, press here, then scroll down to the eleventh paragraph under “Quick Hits” and press the button there, or, if you prefer, just scroll down this page to the posting for July 19. As for the second, the picture in the entry below has been more inspirational than I expected. The result: a new poem written Sunday, “The Well-Dressed Vampiress (advertisement).” Rather than reproduce it here, I’m going to send it out to a few places for publication. Will it see print (or electronic impulses, as the case may be)? Time will tell but, if such should happen, the news will be shared in a future post here. Jolly good news, Jim! Hope it’s all a GO!